In 2017, the International Diabetes Federation (IDF) reported that 425 million adults have diabetes worldwide and India alone harbours 73 million adults with diabetes. November 14 is observed as World Diabetes Day aimed at raising diabetes awareness and calling for urgent action to tackle the diabetes epidemic. Since 1991, each year World Diabetes Day is centered on a theme related to diabetes. The theme for World Diabetes Day 2018 and 2019 is Family and Diabetes. A two-year timeframe has been chosen to best facilitate the two following aims through vigorous public campaigns: a) To raise awareness about the impact of diabetes on families and support network of those affected and b) To promote the role of the family in the management, care, education and prevention of diabetes. Living with diabetes imposes life-long demands, requiring patients to make multiple decisions related to managing their condition. People with diabetes need to monitor their blood glucose, take medication, exercise regularly and adjust their eating habits. Without the necessary education and family support, many are less prepared to take informed decisions, make behavioural changes, address the psycho-social issues presented by the disease and, ultimately, may be ill-equipped to manage their diabetes effectively. Poor management will result in reduced health outcomes and an increased likelihood of developing diabetic complications. Type 2 diabetes is largely preventable through regular physical activity, a healthy and balanced diet, and the promotion of healthy environments. Thus, families have a key role to play in addressing the modifiable risk factors for type 2 diabetes and must be provided with the education, resources and environments to live a healthy lifestyle. One way to prevent diabetes is to take care of the women during their pregnancy. Transient diabetes occurs in certain women during their pregnancy. This is called gestational diabetes mellitus (GDM). The prevalence of GDM is increasing worldwide especially in developing countries. In India, the prevalence of GDM is as high as 20 per cent. It is crucial to detect women with GDM as the condition is associated with a diverse range of adverse maternal and neonatal outcomes, i. e. health burden not only to the mother but also to the offspring at a later stage of life. Besides, a history of GDM puts the mother at risk for the development of Type 2 diabetes mellitus or recurrent GDM. Therefore, taking care of the mother during pregnancy and following the post-natal period with appropriate medical care would prevent diabetes in the mother and also in the offspring at a later stage. Diabetes alerting dogs (DADs) could offer day and night service. Current scientific literature attests that DADs have a high-caliber sniffing efficiency for warning owners of episodes of hypoglycemia (low glucose in the blood) or hyperglycemia (high glucose in the blood), day and especially in nights, with high sensitivity and specificity. Dog is the first animal to be domesticated by humans, and is now universally regarded as the man’s best friend. The olfactory system of the dog allows dogs to detect even negligible amounts of volatile organic compounds and this can be exploited to detect the breath or sweat of the diabetic patients that changes according to the extent of potentially dangerous variations of blood glucose concentrations. The most frequent behavior by dogs to alert caretakers were vocalisations, licking, staring intently at owner’s face, nuzzling or jumping. Awareness on glucose variations is more important for the diabetic patients especially in nights when they suffer with low glucose levels and become helpless. Women, as mothers, have a huge influence over the long-term health of their children. Research has shown that when mothers are granted greater control over resources, they allocate more to food, children’s health and nutrition, and education. Women are the gatekeepers of household nutrition and lifestyle habits and therefore have the potential to drive prevention from the household and beyond. Thus, by choosing healthy food choices and parental care, a mother can prevent her daughter or son to become obese and thereby prevent diabetes. Recent reports imply that one in two type 2 diabetes patients currently are undiagnosed. All families are potentially affected by diabetes and so awareness of the signs, symptoms and risk factors for all types of diabetes are vital to help detect it early. 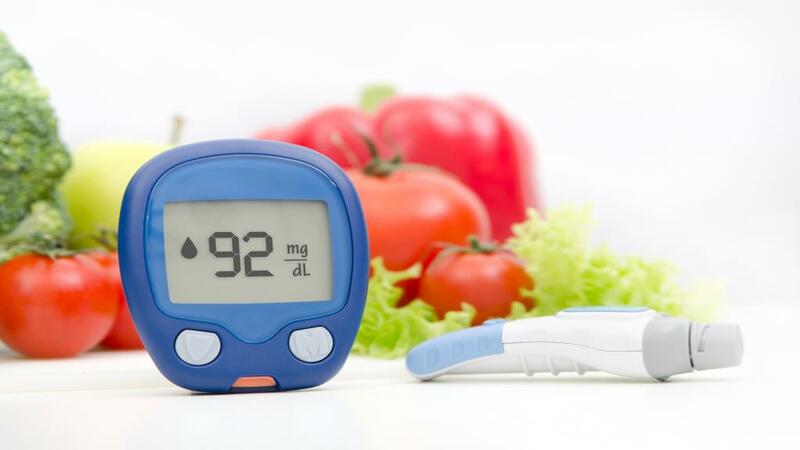 Diabetes can be expensive for the individual and family. In many countries, the cost of insulin injection and daily monitoring alone can consume half of a family’s average disposable income, and regular and affordable access to essential diabetes medicines are out of reach for many. Improving access to affordable diabetes medicines and care is therefore urgent to avoid increased costs for the individual and family, which impact health outcomes. While family support in diabetes care has been shown to have a substantial effect in improving health outcomes, it’s a fact that less than one in four family members have access to diabetes education programmes. Patient- and family-centered care is an approach grounded in mutually beneficial partnerships among healthcare providers, patients, and families.